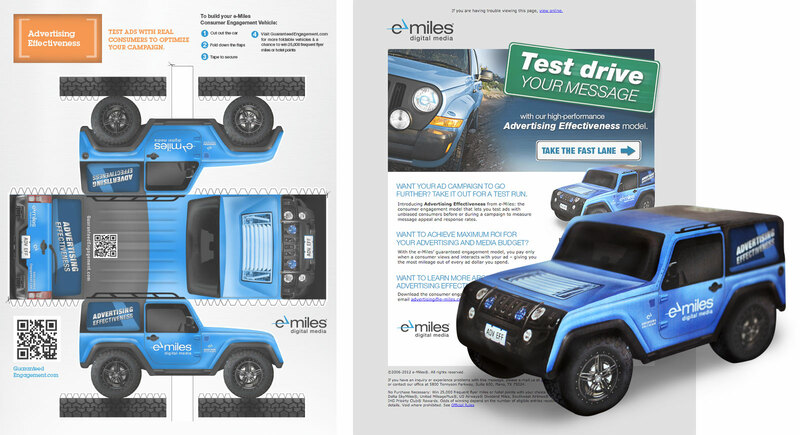 The Car Campaign revolved around e-Miles’ 5 products, each vehicle correlated with a different product. 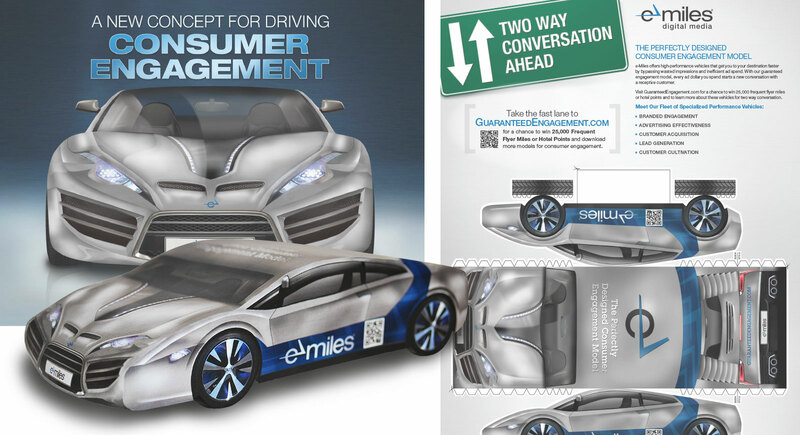 A 6th vehicle was created for the direct mail piece; a super car inspired by concept cars including BMW, Lamborghini, and Fiskar. The car cutouts were inspired by real-life vehicles, and I created each one in Photoshop. 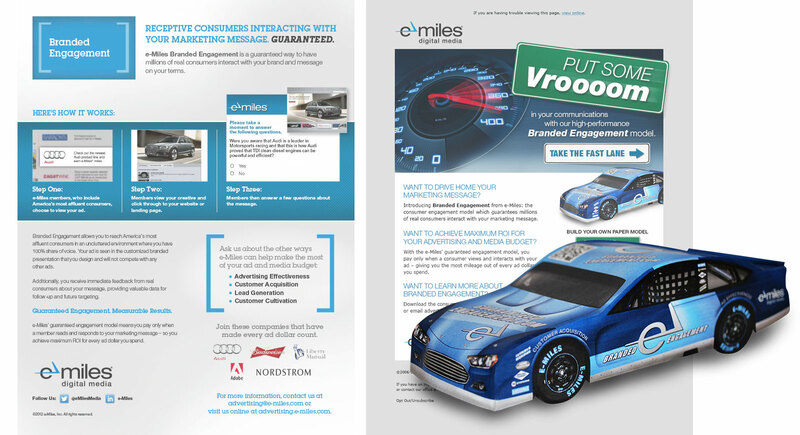 The direct mail inside spread has a cut out of the super car, and the others were provided as downloads on the microsite. 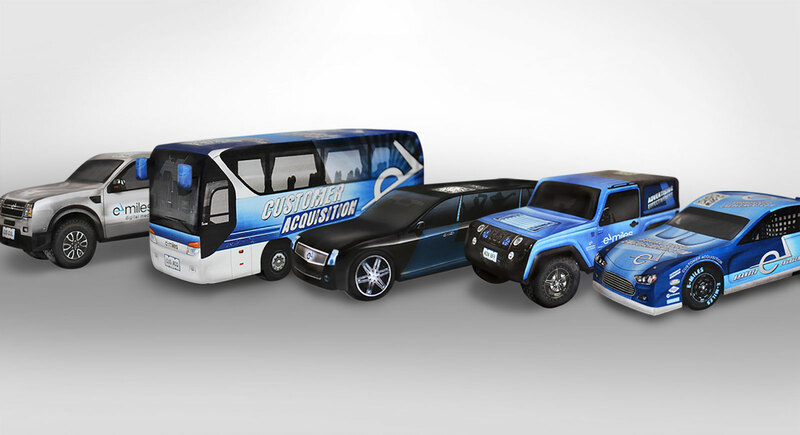 The other vehicle cutouts (Nascar, Jeep, Bus, Limo, and Pickup Truck) were included with the corresponding collateral that went with each product offering.